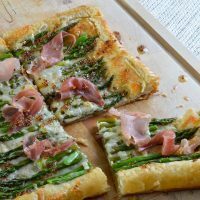 This Asparagus and Prosciutto Puff Pastry is perfect as an appetizer or meal! A simple recipe with flavorful ingredients. Golden puff pastry topped with fresh asparagus, cheese, prosciutto and a drizzle of honey mustard sauce! Isn’t it the best when a recipe is super simple but still tastes absolutely amazing!?!? This recipe is just that . . . Easy. Flavorful. Delicious. Satisfying. I have been going through a ton of prosciutto lately. My daughter is obsessed with it! And who doesn’t love flaky puff pastry baked to golden perfection? 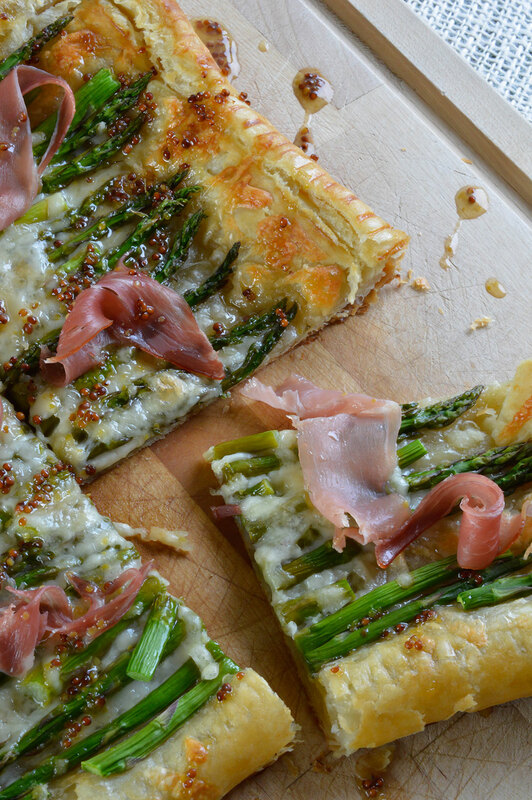 Add asparagus as the veggie for good measure. Cheese . . . Always. And honey dijon sauce for a pop of flavor! Wham! Bam! That Is Good Food Right There, People. 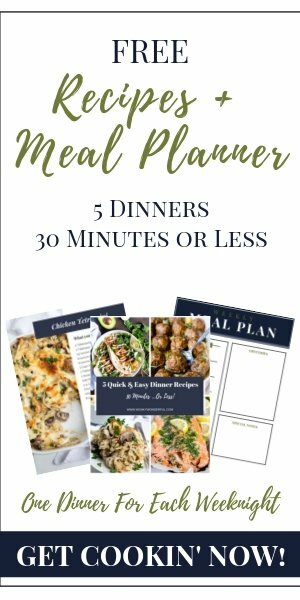 This is a great appetizer for parties or family holiday feasts. Or hey . 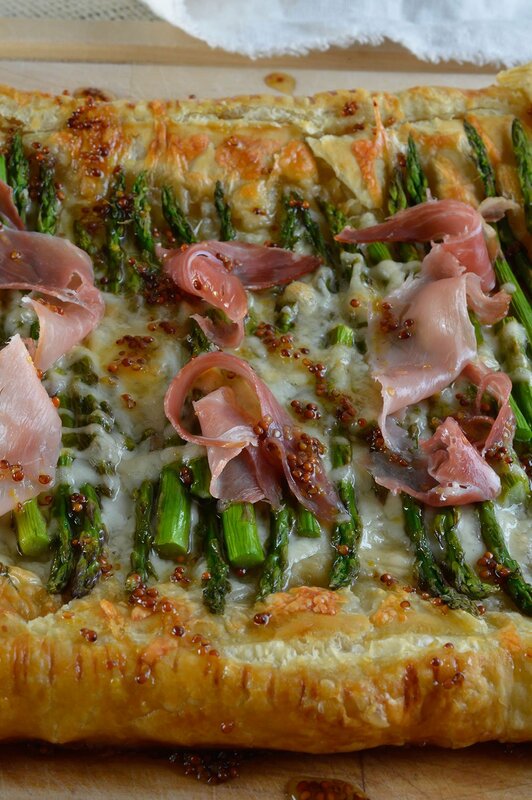 . . this Asparagus & Prosciutto Puff Pastry, a glass of wine and a cozy couch. That sounds pretty darn good too! Lay puff pastry flat on a baking sheet sprayed with nonstick. Layer 1/4 cup shredded cheese. 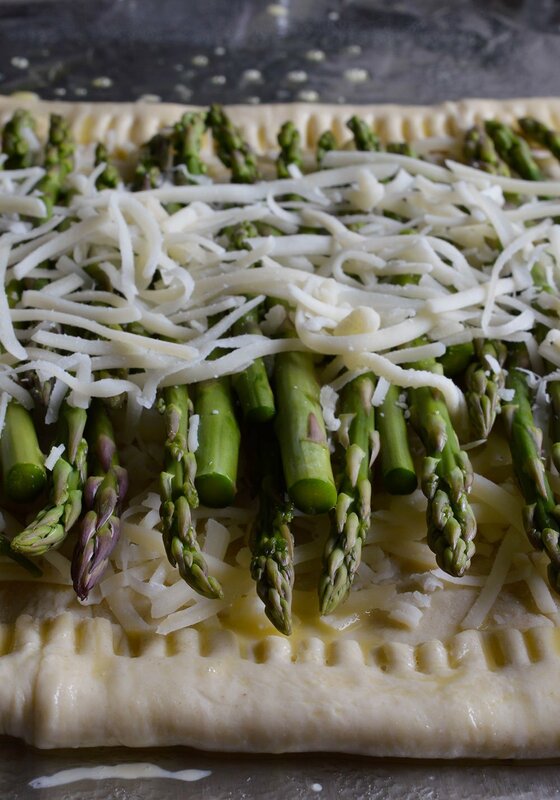 Arrange asparagus evenly on top of cheese. Sprinkle remaining cheese over asparagus. Mix egg and water. Brush edges of puff pastry with egg wash.
Bake for 15-17 minutes or until edges are golden brown. Use a paper towel to blot any liquid released from asparagus. Now this? This could be my lunch. This SHOULD be my lunch. I’m officially madly in love with this and YOU for creating this! Come on over to my house for lunch!!! Three of my favorite ingredients all in one! What a sublime tart! !